The recipe (below) calls for 2-4 table spoons of fruit puree. I made my own cinnamon apple concoction (1 apple peeled and cored, diced and simmered with 1 tsp vanilla, 1-2 tsp cinnamon, 1 tsp maple syrup, and 1 tbsp water until soft, then mashed) and added the 4 table spoons (1/4 cup). They were certainly edible, but I might try some changes next time, and make more fruit compote to eat them with! 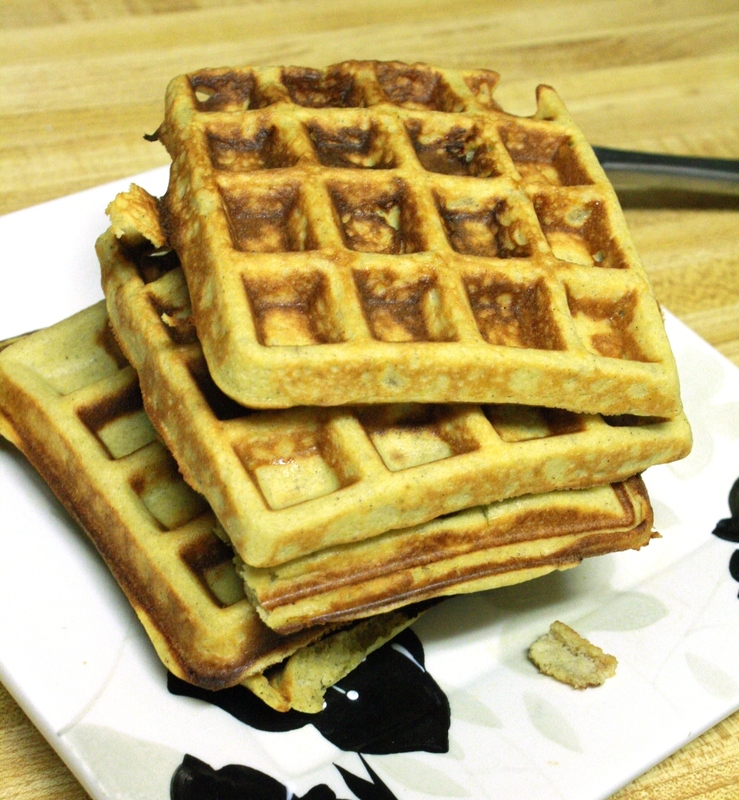 Preheat waffle iron (I always use high), grease generously with coconut oil or ghee. Mix all ingredients until smooth. Pour batter onto waffle iron, and using a butter knife or the back of a spoon, spread the batter to evenly distribute over the iron. Cook 3-4 minutes, or until golden brown. Repeat with the remaining batter, keeping cooked waffles covered with foil in a 200 degree oven to keep warm if you wish.